Etailing Leadership Index (ELI) for the July-Sep quarter. 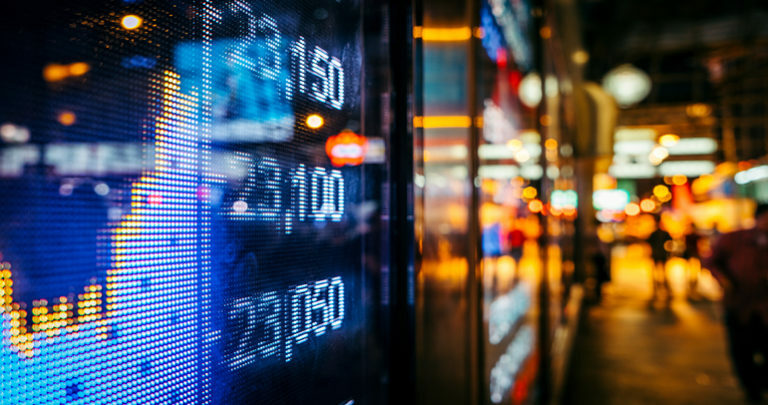 The index is a view on how customers perceive the e-tailing platform and do not represent the market share dynamics. 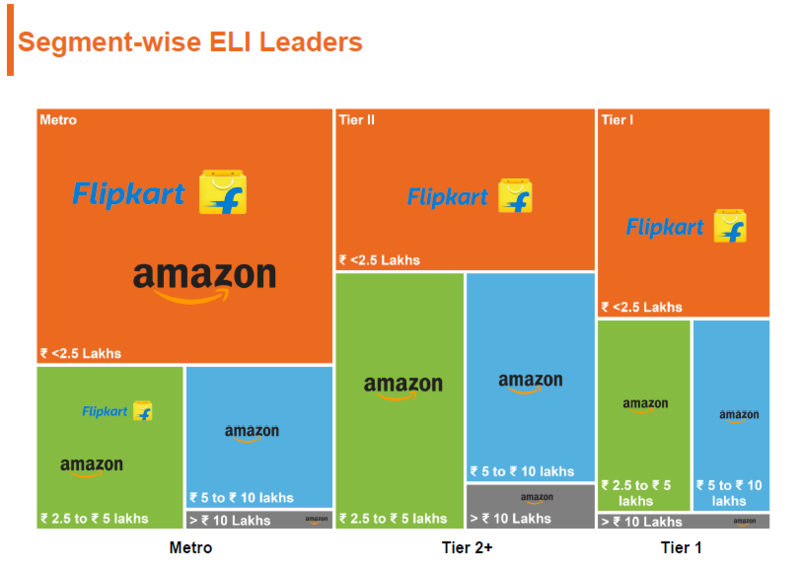 1) Flipkart nudged slightly ahead of Amazon on the Etailing Leadership Index (ELI) on 'Most Trusted Brand' in Q3-2017. 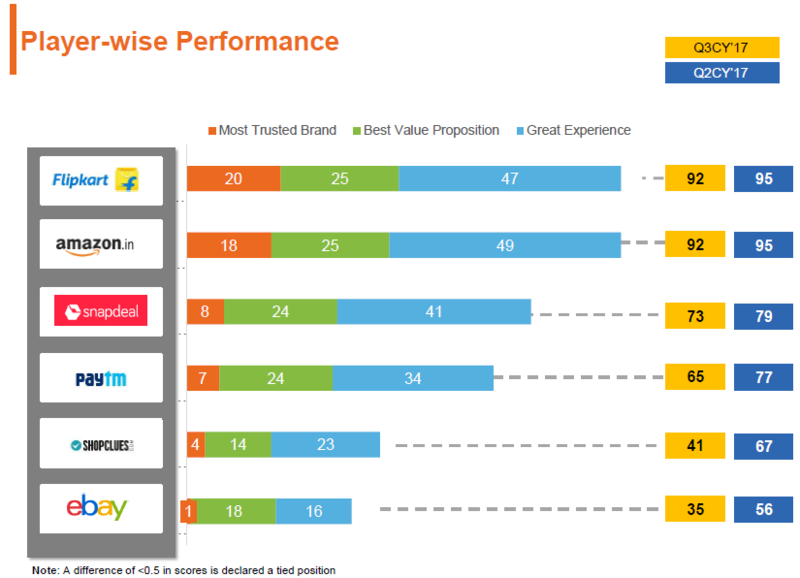 Both players suffered on the scoring due to a decrease in satisfaction in consumer experience post-delivery. 2) Since Q3-2017 was a sale quarter for the industry, high order volumes led to issues in delivery and returns for customers. At an industry level, NPS score improved to 23% from 20% in Q2 CY17 – because of the sale and cashbacks provided by various players this quarter.